Thread: It's pink. It's really pink. Looks sharp. I like me some pink!! Sweet! 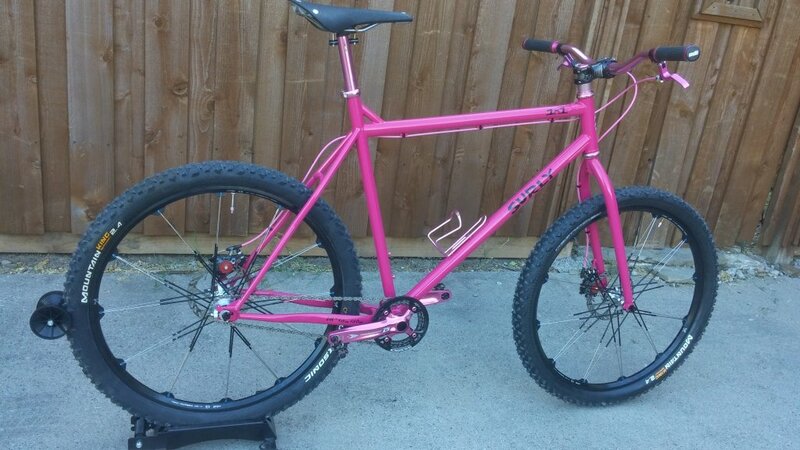 Now get some 650b wheels on that baby. What's the story on that spoke pattern? your fallopian tubes are showing. According to my 4 year old daughter, it's my "Princess Bike." I'm ok with that. I'd love to do 650's, but I already had the Cobalt Wheelset so it will have to do. At least I have 2.4's on it. The 1x1 in teaberry is awesome - nice ride! Sweet! 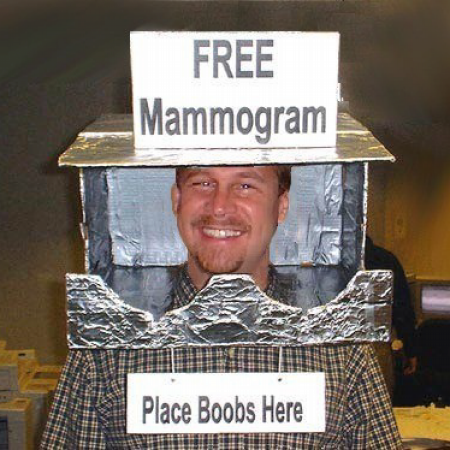 You can ride around on that offering free breast exams. Nice lookin' ride. It must have taken a long time to find all those pink parts, did you anodize yourself? Why not the stem too? I almost feel that the Jean Cambium saddle would be better fit than the black, but that's being overly nitpicky on someone else's ride. Sincerely, that looks like a very nice ride. Good work. You forgot the other two best spots to post these. As far as the Flickr group, submit them to the group and one of us will approve them by Friday. Thanks! I actually have the Denim Cambium saddle on another bike. Gotta say I do love what Brooks is doing with these. 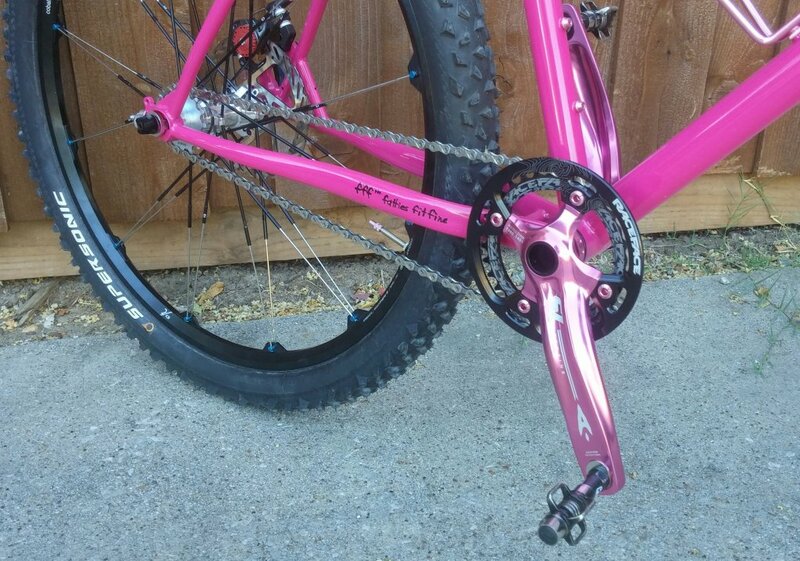 As far as the other parts go, I found quality stuff that was anodized pink. I could not find a high quality pink stem in the right size. For now the Straitline will do. 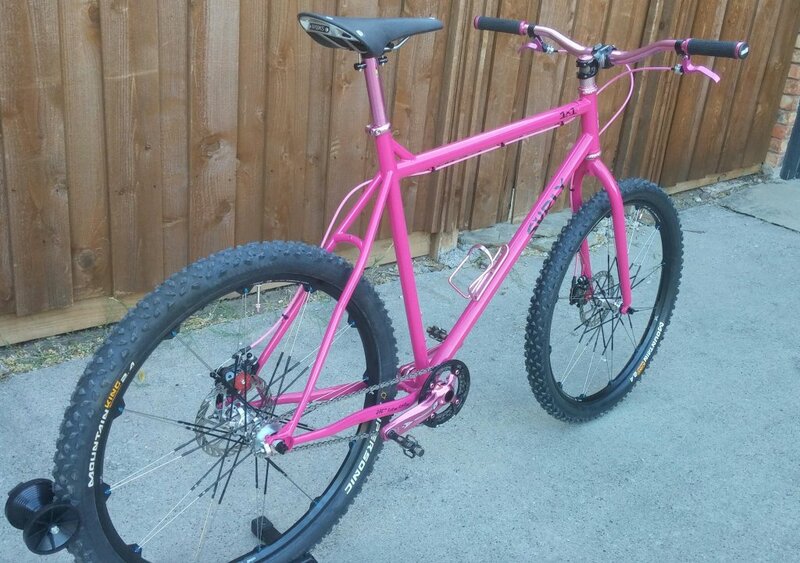 If I come across a decent pink 70-80mm stem I might pick it up. Nice ride. 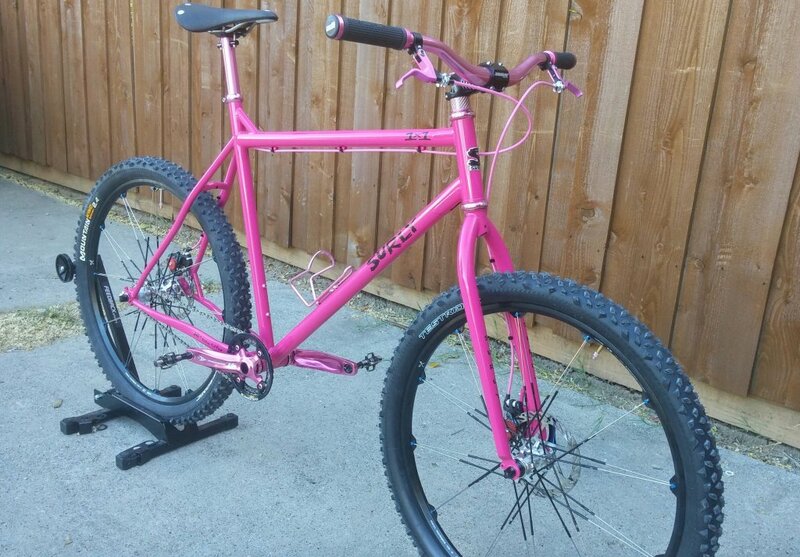 Pink bikes are by far the fastest of them all!